It’s always curious to observe how diverse cultures continuously influence each others and gravitate towards a never ending motion. 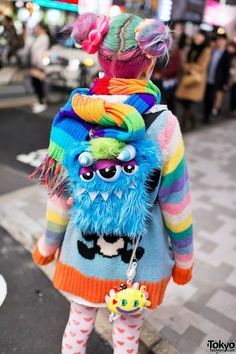 In particular, that of Decora has previously been a japanese street style taking inspiration from European high fashion and eventually ended up to inspire european designers and artists in turn. 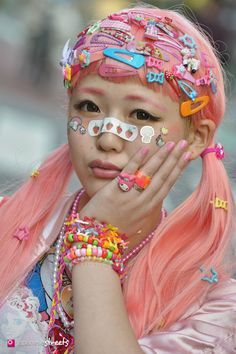 Decora girls’ subculture is probably one of the most iconic and recognizable fashion trend coming from Harajuku (Tokyo), which has spread out in the Nineties and spotlighted japanese youths. It’s all about promoting a hyper bright, over composed and creative self-expression that has a stark focus on colours, layers and accessories. 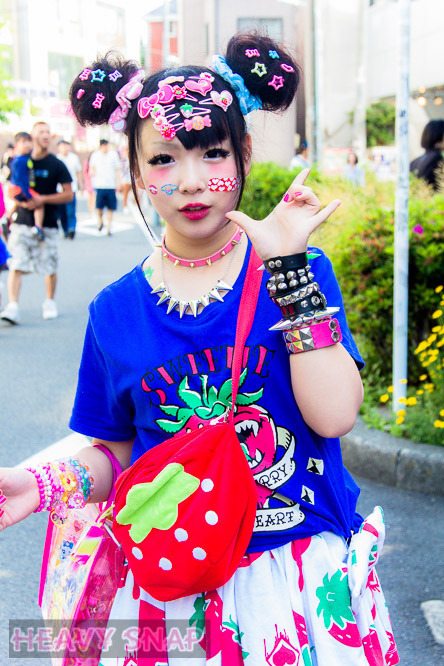 In particular, Harajuku girls seem to prefer a kind of childish approach with clothing, that is mostly expressed by a keen interest in toy-like plastic jewels, bags and prints that match each others by following an almost instantaneous inspiration rather than a precise dress code. The same is for their makeup and hair style that nevertheless seem to privilege the use of wigs, funny stickers and crystals. Even though all Decora present a very personal and unique style, it’s interesting that this culture is not about the individual, but rather it gives large space to community gatherings. For instance, there are plenty of shops, hair and beauty salons where they meet and spend time together while getting ready for going out. 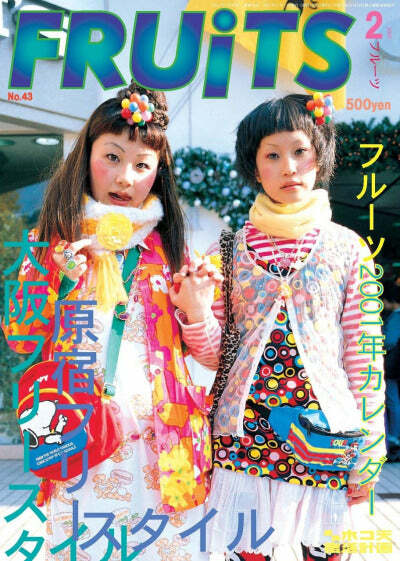 Back in the late Nineties, it has been Shoichi Aoki that documented and made this culture popular worldwide in his Fruits Magazine. Posted on June 3, 2017 by antoniaspagnardi	This entry was posted in tales and tagged decora, fashion, fruits magazine, girls, japanes, nineties, shoichi aoki, style, subculture, youth. Bookmark the permalink.